Think when you all our are talking stock and comparing a Silverface to the classic Blackface. Yes point is made/spot on. But one buys a Silverface and takes it to someone as knowledgable as yourselves.. After you re-condition it/BF it, then someone puts their choice tubes and speakers in what do you have? IMO a pretty darn hand made amp at a 3rd of the cost of some of these Boutique brands. Yes, I agree. 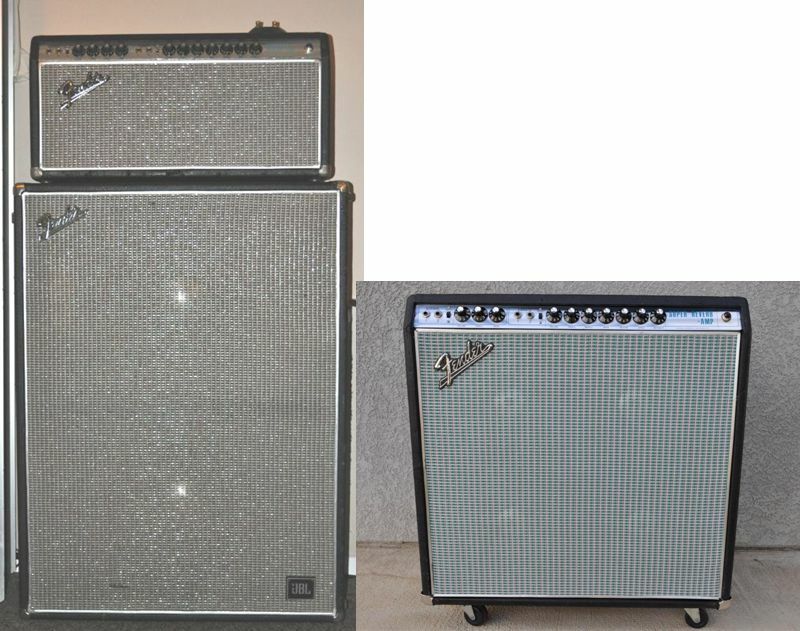 A good silverface era Fender amp, correctly restored, maybe better in the long run --- than some low cost brand new amps. Good thing there are a lot of folks liking the vintage stuff. As parts and ppl who know how to repair these old things are still around. Even during the darkest days of the CBS/FMI regime, every one of those amps was more dependable and more reliable than anything built today by FMIC. But thanks to hype and old wives' tales which tag them as sonic slugs, there are still bargains to be had among the numerous silverface models. And those amps of the less-desirable model years can often be back-dated to earlier (better sounding) circuit configurations with only minimal effort. You know, I kinda like the looks for my silverface Fenders. Esp those drip-edge models. in my case? The best sounding amp I've ever played through. Silverface '69 Super Reverb. I like the look too, no desire to change the faceplate. The drip-edge silverface cosmetics are one of two of the most enduring pleasantries of the CBS era, the other being the tuxedo fretboards developed for the Jaguar, Jazzmaster, and Jazz Bass. Nothing brightens up a stage like a backline of silverface Fender amps under klieg lights. Yep! 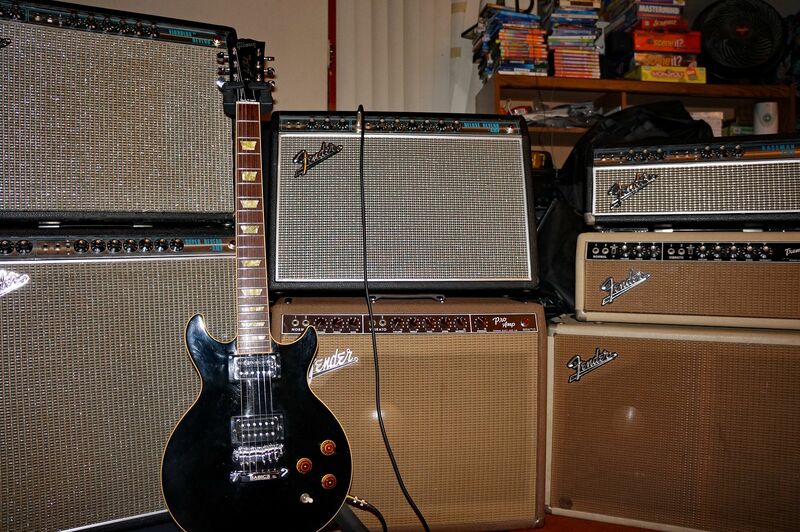 I sure like my drip-edge '68 Showman and '69 Super Reverb. Hello its me again, so i been testing the amp and its working great, but i found somerhing and it just happens when you turn the volume up, its doing this power tube oscillation motion and sound and when you check the power tubes the blue glow goes alternating perfectly in pairs (as im showing in this short video) does anyone knows where should i look at? Also i been looking for schems or layouts showing the cap i spoke about that was from center leg master volume to ext swtch jack, and i have found nothing, the cap is a black panther .0012uf 600v, does anyone knows anything about it? If so how would be correctly installed? And also if this should be the problem? The cap is probably a mod for a line out or a slave input. Putting it back to stock is the best course. Look closely at that master volume pot. There should be a fourth lug on it for the bright circuit. Its a tap lug that is connected at about 1 third volume. This is to peak the bright cap at that volume, then to taper its effect at higher volumes. There should be a 120pf cap connected to the lug and to the right lug on the pot. It might read .00012uf . Some find this value too bright. You can play around with the value to your liking. Smaller for less effect.